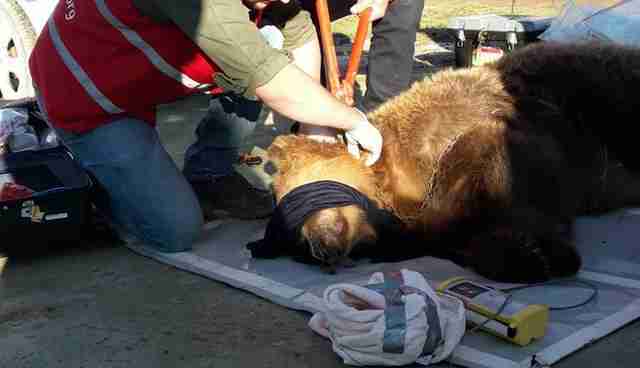 Jeta was one of the saddest bears alive — until now. Until just recently, Jeta was a "selfie bear." Jeta had a ring pierced through her nose, which was connected to a chain that her owner used to drag her along the beach in Albania. When tourists gawked, her owner would suggest they take pictures with Jeta. 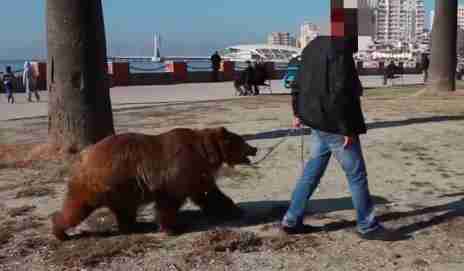 "In chains [selfie bears] are led around on the beach promenade in order to make profit with them," Four Paws International explained. "Many tourists want a selfie with a bear and pay money for it." 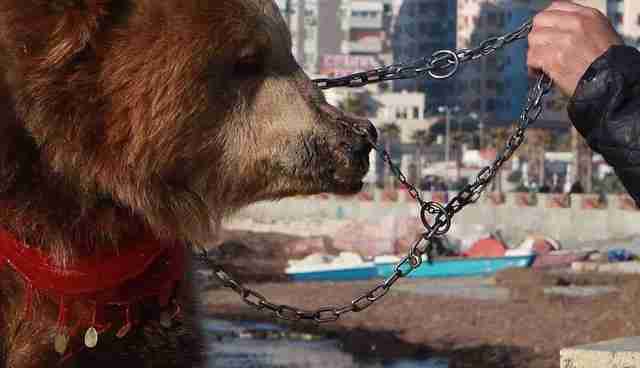 When she wasn't being dragged along the beach, Jeta was totally alone, chained to the floor in a dark concrete cage in her owner's yard. And Jeta isn't the only one. 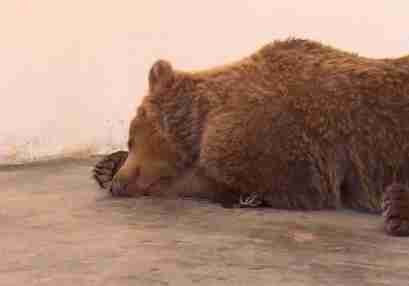 About 50 caged bears in Albania are known as "the saddest bears in Europe," forced to serve as roadside attractions or exhibits outside restaurants. 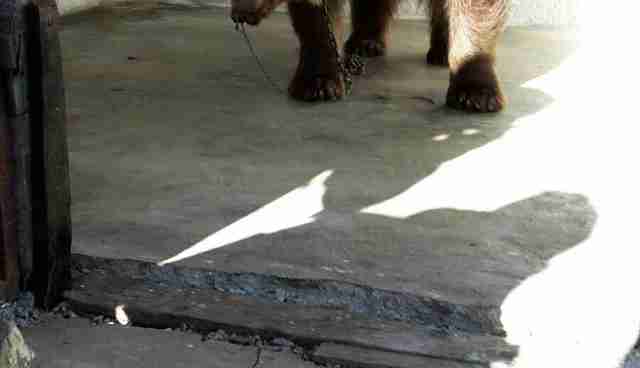 But last week, rescuers from Four Paws, which has been working with the Albanian government to free the saddest bears, put an end to Jeta's life as a selfie bear: The group finally won her freedom and received the privilege of removing her chains. 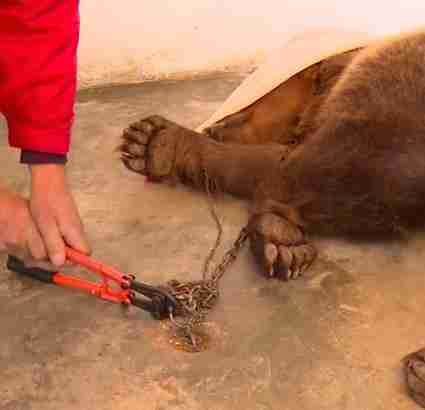 Rescuers cut the chain that tethered Jeta to the concrete floor of her cage. And then they removed the chain that ran through her nose. "Our team has just released Jeta from years of agony!" Four Paws wrote. "When she awakens from the anesthetic, she will finally be able to move independently without being guided by the chain." Jeta was released from her dark cage and loaded onto a truck bound for her new life. But Jeta isn't unscathed by her years in captivity. "Unfortunately, you can see the years of bad keeping," Four Paws wrote. "Jeta is almost toothless and has an eye condition." But her future holds promise. "The most important thing is that she has been freed from the shed and we can take care of her now," Four Paws wrote. 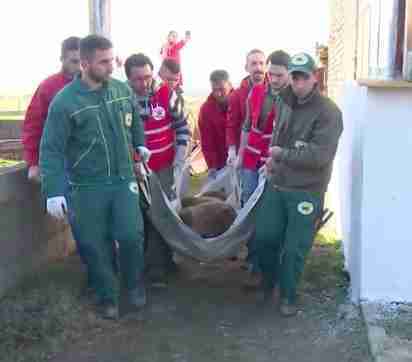 Jeta is currently recovering at a zoo on her way to the Prishtina Bear Sanctuary in Kosovo, with 40 acres of sprawling grassy land, where she'll live a whole new life. 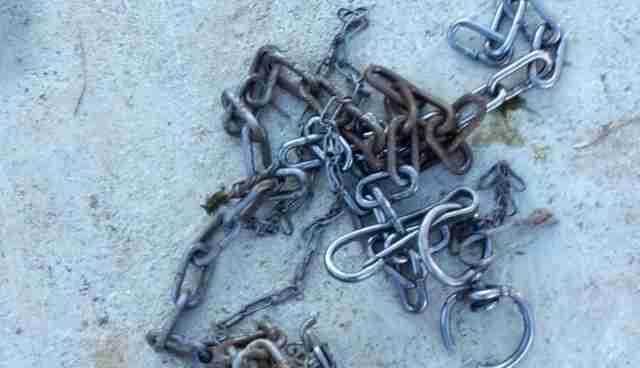 And she'll never be chained up again. 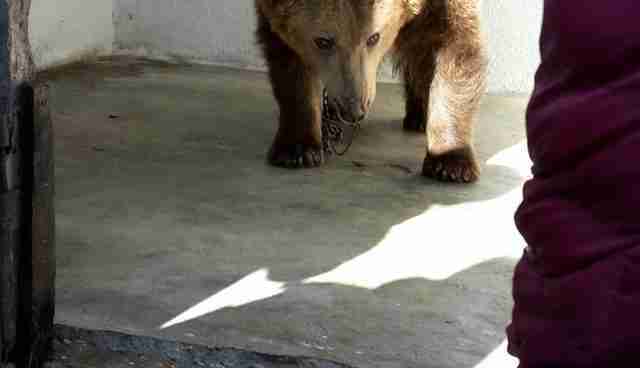 You can speak up for the bears who remain caged up in Albania by signing a petition here and supporting Four Paws International's efforts to free them.